When I was young I fell in love with jazz music. I studied, practiced, jammed, and gigged. I was precocious and thought I was much better than I was. Harmonically, rhythmically, and technically I was callow – less than the player I am today. I didn’t care. There was joy and abandon in my playing and the optimism that is the domain of the young. When I was young I went on dates. I had infatuations, rejections, romances, and breakups. There were no dating aps — I was judged on my poise and insouciance in the moment. Sometimes I fell flat on my face and other times the stars aligned for great successes. It didn’t matter – there was time. When I was young if I wanted to go to a ballgame my greatest worry (living in New York) was whether or not there would be a rain out. The cost was not prohibitive, the game, though slow, was not marred by interminable booth delays or a revolving door of relief pitchers. I was not made to feel like a criminal upon entering the stadium. There was joy in the experience. So begins my 58th year. Bring it on. 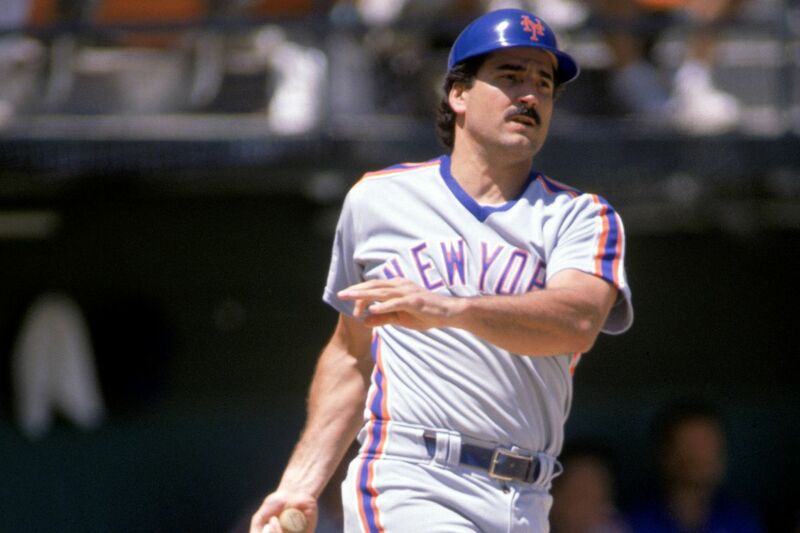 Keith Hernandez – my favorite Met. 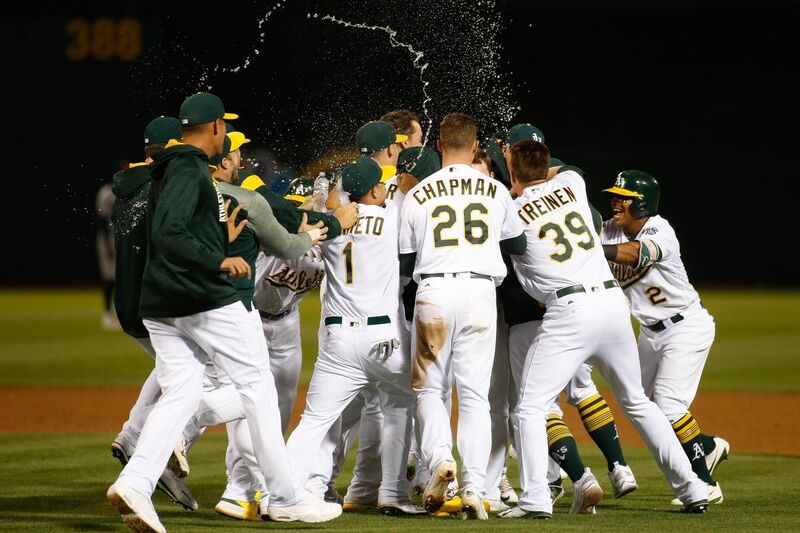 It’s time to give a shout out to my East Bay homies, the Oakland Athletics who come from out of nowhere – 9 games behind the Seattle Mariners for a wild card spot – to not only pass the Mariners in the standings, but challenge the world champion Houston Astros for the Al West division. At this writing the As trail the Astros by a mere 2 and a half games in the standings. How does Billy Beane do it? He continues to build contenders from scratch with one of the most limited budgets in baseball. If I were the New York Mets I would back up the truck to make an offer to Beane. If the As are able to win a playoff round this would be one of the feel-good baseball stories of recent years. Their rewarad for winning a wild card game, however, will be a date with the Boston Redsox. They’ll cross that bridge when the come to it. Today, while perusing potential Tinder matches, I came across an uber-lady. She’s into beach volleyball , snowboarding, hiking, water skiing, and she’s been to 70 countries! She caps off her profile with this old chestnut: I’m looking for someone who can keep up. It’s not the first time I’ve read this line – it’s hardly original – but each time I see it it inspires a new wave of antipathy. That’s her criteria? Not intelligence, warmth, humor, introspection, but somebody who can keep pace with her daily round of incessant activities. President wanted: No prior experience necessary. When I was a kid and encountered an alpha-dog, as an introvert I suffered largely in silence. I took comfort in the rationalization was that after high school these dullards would end up in dead-end jobs and would almost certainly become alcoholics, wife-beaters, or felons. And there you have the most irritating part of the Trump phenomenon. This brainless oaf who never got his come-comeuppance, and was in fact rewarded for his loutish ways. 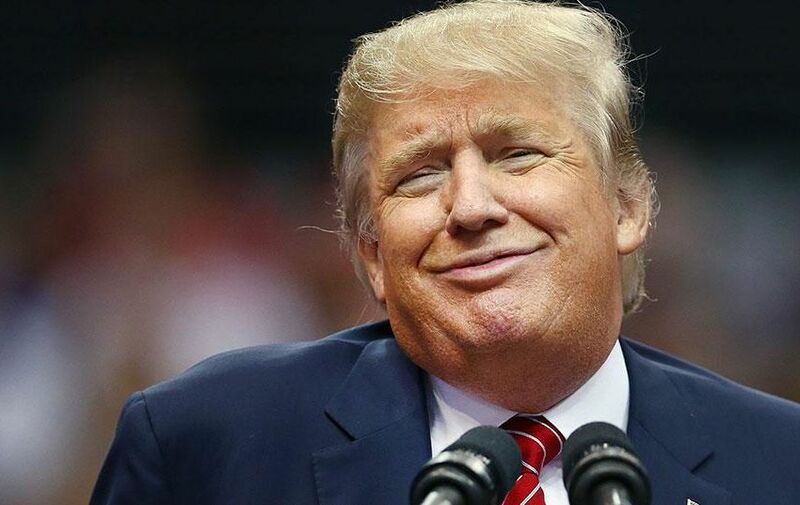 Personally I yearn to see Trump having to resign in disgrace, even though I realize this means that Mike Pence, someone whose politics are just as bad, if not worse than Trump’s, will ascend to the presidency. The 2016 election actually confirmed one of the tenets of the American dream – anyone can become president. Allow me to rephrase that: Anyone with money can become president. As we now know, there are no necessary qualifications for the job of United States president. You don’t have to have been a politician, a lawyer, a military officer. There is no need to possess a thorough knowledge of history, science, civics, or economics. I could be president, even though my greatest life-skill is knowing what to play over a C7+9+5 chord. Leave the Maggots alone, only Congress can save us now. Yesterday the Washington Post broke the story that Donald Trump may have inadvertently leaked classified information to the Russians. This prompted immediate calls from my left wing brethren for impeachment. Many people are still upset at the heartland folks who comprise Trump’s base, but I believe that they are now irrelevant. The MAGA (Make America Great Again) folks are no longer the problem. Sure, they did their part to get Fucko elected, but they no longer have any power. 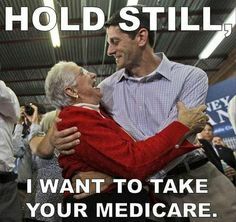 Indeed with the absence of affordable health care and job opportunities, they are screwed under the Trump administration’s legislation. It’s now up to the Republican Congressmen to impeach Trump. They are the only ones that can fix this mess. Not the press, not protesters, and not the Democratic minority. I don’t hold out much hope. The media, as well as social media, is all atwitter (if you’ll pardon the expression) over the first 100 days of the Trump presidency. All of a sudden this artificial benchmark of success has taken the nation by storm, dominating the news cycle. I counted no less than four first 100 days of presidency articles in today’s Times. Can I say something? WHO CARES! Look, we know this presidency is an abomination – a tumor on an already reeling American body – but we don’t need a random number of days to tell us this. We could have made this assessment on the 20th day, or even the 7th, if we weren’t so in love with a number that divides by 10. And while I’m at it, how magical is the number 100? There is seemingly nothing that it can’t do. It can determine when a pitcher runs out of gas, as well as if a presidency is a success or failure. I wonder if it can also core a apple? Trump Care, or to be more apt, Death Care, was withdrawn by a House that didn’t have enough Republican votes to get it through to the Senate. I can’t seem to wrap my head around the reason for its failure. Was it because of moderate Republicans who would have to face a constituency that would find itself either uninsured or paying up the wazoola for health care? Or was it because of hard-line, conservative Republicans who thought that the bill was too generous and will not be happy until there are bread lines. It’s hard to believe that the Trump administration thought that they could ram this bill through Congress in a month’s time and move on to gutting the infrastructure of the country via a budget bill. Talk about hubris. I’m imagining an Albany, California town meeting 100 years ago. One of the city council members opens the meeting by stating, We’ve got to come up with a theme for naming our streets. What could it be? What to do? Then the mayor snaps his finger and shouts, I’ve got it, we’ll name the streets after our nation’s worst presidents! Thus modern Albany was born. For starters I live on Buchanan St. James Buchanan was the only president to remain a bachelor his entire life. Not only that, he was the only president from Pennsylvania. (my home state, incidentally) During his inauguration he vowed to be president for only one term. That’s like me promising not to play at Carnegie Hall. Buchanan was the last president before the Civil War. Nuff said. Did I mention how Fillmore gained the presidency? That would be the next street over – Taylor St. Fillmore was Zachary Taylor’s vice president. Taylor died 14 months into his term from a digestive ailment brought about by consuming copious amounts of raw fruit and iced milk. That’s about all the time I have today for bad presidential memory lane. I didn’t even get to Polk St. Now enjoy this photo of Harvey Keitel. It’s not fair to be a musician with a Sunday brunch gig on the first day of daylight savings time. After a late Saturday gig you are robbed of a precious hour of sleep before waking up at what is really 7:30 to play for Sunday brunch. The humanity! A couple of times I played the late set on New Years eve which was from 2am-6am. It paid double scale! 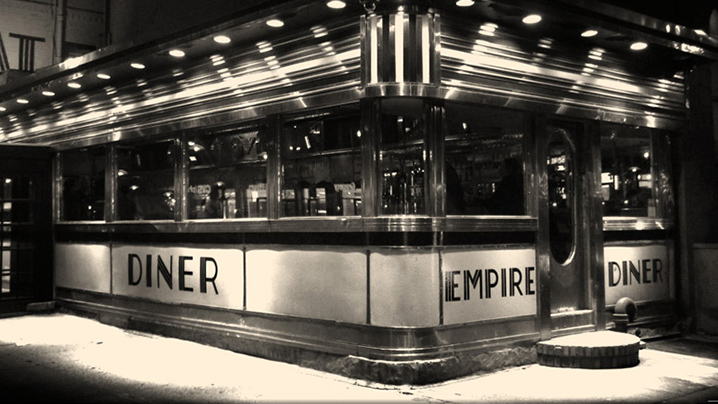 After those nights I felt so prosperous that I would spring for a cab ride home – from 10th Ave & 22nd st all the way to the Upper West Side on Broadway and 109th st.
Conversely, in the fall, when the clocks moved back an hour, the place expected us to play for an extra hour. I would try to sub that night out, or conveniently forget about the time change. Enjoy the extra light, everyone, we have made it through the dark days of winter. Now if we can only make it through the dark days of the Trump administration.